As promised, here is the latest on the Deschutes Residence to bring everything up to date. Below are some more detailed images to show progress on the residence's fireplaces. The exterior patio's fireplace is currently under construction and will be made of board formed concrete. The living room fireplace and master bedroom fireplace are made of dry stacked stone. The living room fireplace anchors both the entry axis and the circulation axis. 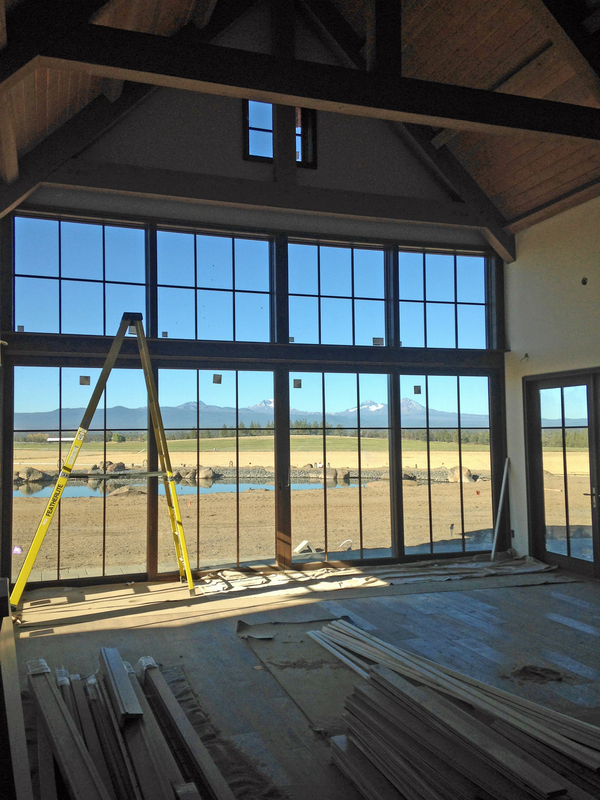 The entry axis continues straight through the living area and dining area and finally out to the view of the Cascade Mountains.